12 volt linear actuators are ideal for applications in industries such as: marine, for sub-sea diving applications; industrial manufacturing, for process and factory automation applications such as robotic material handling; aerospace, in order to move flight surfaces, stabilize rotating devices and other motion control applications; medical, dental and pharmaceutical, for use in applications such as medical infusion systems, bed positioners, patient lifts, dental chairs and drug delivery systems; and military, for armored ground vehicles and aircraft. Capable of high-precision motion, l2 volt linear actuators are also used in applications such as telescopes and additional research equipment in which the slightest miscalculation could be highly costly. 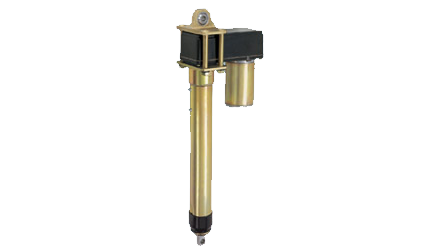 Additional benefits of 12 volt linear actuators are their ability to perform well in high-pressure applications as well as their ability to function in extreme environmental conditions, such as natural gas vents and oil drilling locations. 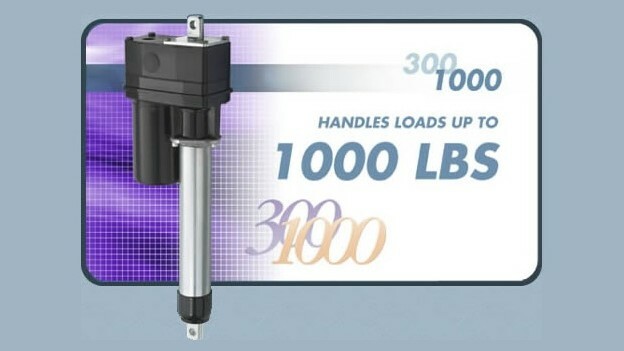 12 volt linear actuators consist of relatively few parts, making for a very simple and efficient design. The three main components of a 12 volt linear actuator are a DC motor, a screw drive, and a set of gears. The two main types of DC motors are brushed or brushless. A brushed DC motor has three main parts: permanent magnet stator, a wound iron-core armature and a commutator with mechanical brushes. The brushes function to connect the power source to the armature, or a rotating coil that induces voltage from motion as result of a magnetic field. Brushless DC motors, on the other hand, consist of a permanent magnet rotor and coils that are located within the stator. Compared to using a mechanical commutation system, a brushless DC motor’s commutator is electronically controlled. There are also two main types of screw drives: lead screws and ball screws. Lead screws, also called power or translation screws, are threaded rods that allow rotational movement to translate into linear motion. Ball screw actuators achieve the same linear movement, yet they offer reduced friction due to the small alteration of a ball encased within the nut. Lastly, a set of gears is used to provide increased precision in motion control, typically either worm gears or planetary gears. 12 volt linear actuators most often utilize worm gears, because they help to provide the required torque for rotation of the screw. 12 Volt Linear Actuators 12 volt linear actuators provide mechanical linear motion by converting 12 volts of direct current (DC) electrical energy. Although they provide motion at relatively low speeds, 12 volt linear actuators offer advantages such as durability, reliability, and a high level of power.